WISE, or the Wide-field Infrared Survey Explorer, was designed to survey the entire sky in infrared light in just 6 months. This telescope, which is part of the NASA Explorers program, was launched on December 14, 2009. Although WISE was put into hibernation this February, it has collected over 2.7 million science images at four infrared wavelengths. This week, NASA and the WISE team released this 15 terabytes of data to the public. Before I go into details, we should all take a moment to enjoy the beautiful all sky image produced by WISE (shown to the right). You should also definitely check out the zoomable version. So what is a survey telescope? As NASA says, “Build it and surprises will come”. This statement sums up survey telescopes pretty well. A survey telescope is designed to see as much of the sky as possible, because we don’t always know what we are looking for, or where we might find it. In order to accomplish this, a survey telescope needs a wide field of view (FoV), so that it can see a fairly large portion of the sky at once. The WISE FoV is 47 arcminutes x 47 arcminutes. In comparison, a wide FoV for the Keck telescopes in Hawaii may be 40 x 40 arcseconds (an arcsecond is 1/60th of an arcminute!). This means that the WISE FoV is ~5000 times bigger than this setup on the Keck II telescope! Survey telescopes provide catalogs of interesting objects for follow up with larger telescopes which have smaller fields of view. In addition to a wide FoV, a survey telescope needs a pattern by which it scans the sky. This is non-trivial for space-based telescopes, since it is difficult to slew, or move, the telescope in space. WISE accomplished this all-sky scan in a very clever way. The telescope is in a polar orbit, meaning it orbits the Earth around the north and south poles. WISE always points away from the Earth, and takes an image every 11 seconds. This means, after an entire orbit around Earth, WISE will have imaged one strip of sky. But, because the Earth is traveling around the sun, the location of this strip changes from day to day. Over the course of 6 months, these strips cover the entire sky. For a schematic of the WISE observing pattern, check out this website. Infrared light: what is it good for? WISE took images at four wavelengths of light ranging from 3.4 to 22 microns, which includes some of the near- and the mid-infrared (sometimes this is referred to as the thermal infrared). WISE observations have extended the wavelength range previously surveyed by the 2 micron all sky survey (2MASS) to longer infrared wavelengths. However, unlike the 2MASS survey, which was completed with ground-based observations, it was absolutely essential that WISE be a space-based mission because the Earth’s atmosphere is very bright in the mid-infrared. For this reason, WISE is now identifying objects that have been missed by previous surveys. In particular, the WISE wavelength range is really good at probing three types of objects. The first class of objects are those which are very cool. If you remember, stars and planets which give off heat are well represented by a blackbody radiation curve. So while an object gives off energy at a range of wavelengths, it peaks at a wavelength which is proportional to its temperature. As these objects get hotter, the peak shifts to shorter wavelengths. Let’s think of this in terms of the Sun. The Sun has a temperature of 5778 K, which peaks in green light on the blackbody spectrum. (An aside: Phil Plait explains why we don’t see any green stars.) So as objects get cooler than the sun, they peak in longer and longer wavelengths, and eventually the infrared. In particular, infrared wavelengths are sensitive to cool stars, “almost stars” (brown dwarfs), and large planets. In particular, WISE is sensitive to brown dwarfs even cooler than those previously identified by the 2MASS survey. The second class of objects that are seen well at infrared wavelengths are those which reprocess light from stars. When grains of dust (or small solar system bodies) absorb starlight, the dust re-emits that light in the thermal infrared. Because it is able to detect this thermal emission, WISE is sensitive to three types of re-emitters. (1) The first type of re-emitter includes asteroids and dust in both our own solar system and other newly formed solar systems. Identifying asteroids in our own solar system can help us identify near-Earth asteroids, particularly those on potentially hazardous orbits. We can also study other solar systems which are very dusty. This dustiness is characteristic of newly formed solar systems. These systems are interesting because they may provide new insights into planet formation. (2) The second type of re-emitter that re-processed light in the infrared helps us detect is interstellar dust scattered throughout the Milky Way Galaxy. The benefits of mapping the dust distribution in our own Galaxy are twofold. 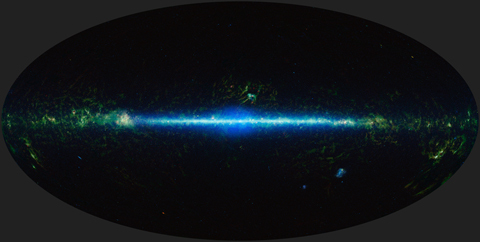 First, mapping the dust in the Galaxy will trace the matter distribution, and thus the structure of the Milky Way. Second, an accurate dust map in our Galaxy will be useful for other astronomers. While dust lights up in the infrared, it blocks other types of light (and sometimes changes the color). It will be extremely helpful for astronomers to know how much dust they are looking through, so they can account for how much interstellar extinction or color change is occurring in their data. (3) And last but not least, the third type of re-emitter that WISE is sensitive to is dust which reprocesses stellar light in other galaxies. The detection of this light from other galaxies means that WISE can be used to investigate the star formation histories of many nearby galaxies. The third class of objects that are best seen at infrared wavelengths are those which are intrinsically bright, but obscured by dust. The Circinus Molecular Cloud Complex is a good example of this. In visible light, molecular clouds (thick clouds of gas and dust where stars form) block the light from the recently formed stars behind them. Because of this obscuration, it is helpful to look at this cluster in the near-infrared, where these stars still emit light (albeit not as much) because near-infrared light can travel though dust. In particular, WISE data is expected to contain a whole host of dust-obscured galaxies which have not been previously identified. These include Ultra-luminous infrared galaxies (ULIRGs) and active galactic nuclei which have been obscured by dust. Remember those cool objects that WISE was sensitive to? Well it found them. It was predicted that there existed a class of very cool brown dwarfs (< 500K), but they had never been seen. Until WISE, that is. Check out Nathan’s astrobite for more details. WISE, and its extension mission NEOWISE, have discovered many previously unknown solar system bodies. These discoveries include 20 comets, 33,000 main belt asteroids, and 134 near-Earth objects. 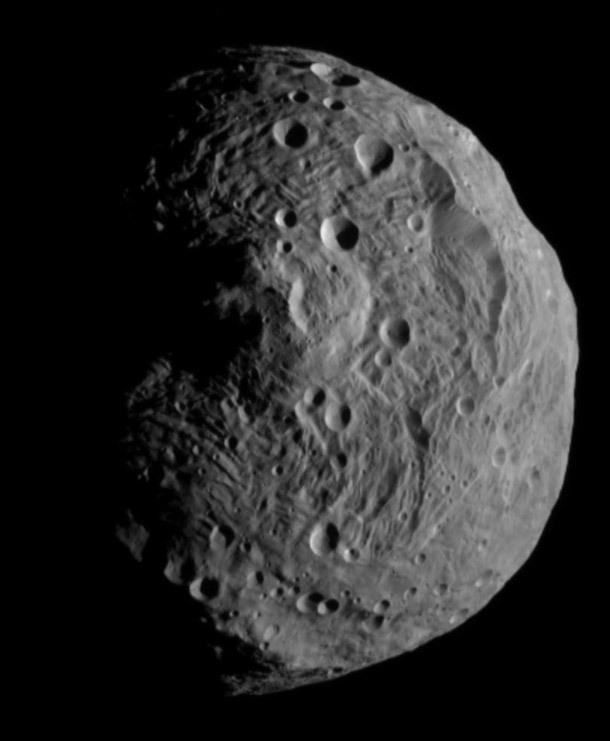 WISE also found Earth’s first Trojan asteroid, or asteroid which shares its orbit with Earth. For a list of interesting discoveries in the solar system, see this page. It is worth noting that WISE found fewer near-Earth asteroids than expected, which is good news, since near-Earth objects are the only asteroids likely to impact the Earth. WISE has also given us new insight objects we already knew about. For example, it found new features in the “Crystal Ball” nebula and the Puppis A supernova remnant. WISE also captured a rare event: a flaring black hole. Not to mention the beautiful new images released by WISE, like this one and this one. The new discoveries from WISE have only just begun. After all, it takes time to sort through 15 terabytes of data. Now that astronomers all over the world have access to WISE data, keep yours eyes peeled in the news (and astrobites!) for new WISE discoveries. Either way, you should check out the multimedia gallery for more fantastic WISE images. Additionally, if you are involved in education and outreach, you should explore this page, which includes many educational resources including slideshows and classroom lessons.